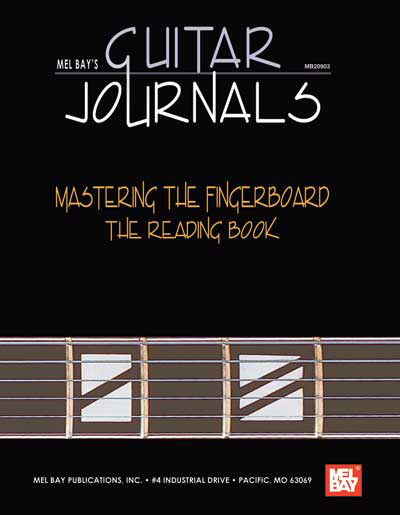 Mel Bay’s latest series, Guitar Journals, is the ultimate reference guide of studies and solos in several different genres. This fantastic journal dedicated to reading covers studies on each string, studies on each key (each of the 12 major and minor keys is presented in four different positions on the fingerboard and a study is presented for each), and four major and minor studies are presented in each position. This is a must-have for the student to professional musician’s library and is ideal for everyday use! Hard cover, covered spiral binding and premium stock paper make this a volume so beautifully printed and bound and containing so much valuable information that you will treasure it for years to come!